No other foreclosure site has more homes, or is as up-to-date. The SECRET to getting the best deal is having the best financing! V.A. 's are very different from other foreclosures... work with an expert! * EVERY foreclosure listed for sale IS IN THE MLS! 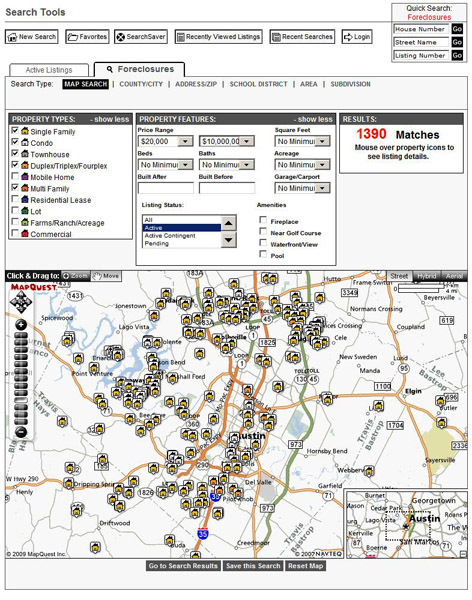 * MOST Pre-Foreclosures are listed for sale in the MLS! * Pre-Foreclosures can be your VERY best investments! 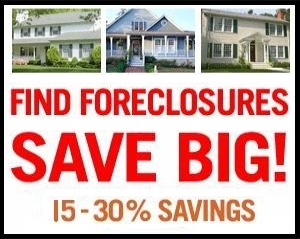 * Virtually EVERY foreclosure is listed AT THE FULL APPRAISED PRICE! But...because they are all sold AS-IS and they ARE Foreclosures....they tend to sell for below market value and DO represent very good bargains. * ALL foreclosures are sold with a Special Warranty Deed instead of the usual General Warranty Deed....this means that you CAN NEVER go back to the seller (mortgage company) in case of ANY title problem! You really have nothing to worry about because the seller buys title insurance just like all other regular sales! * BEFORE the actual foreclosure, (pre-foreclosures) most all mortgage companies WILL take an amount WAY BELOW THE AMOUNT OWED!!!! * HUD is just a regular foreclosure that had an FHA mortgage! * HUD foreclosures are a little bit different than other foreclosures.....they accept bids for the first week....then, if they do not like the bids....they keep it listed like an other foreclosure/MLS listing: looking at each offer as they come in. * HUD has historically NOT accepted ANY offer less than 93% of asking price! * The foreclosure process REQUIRES the property to be auctioned of at the court house steps (first tuesday of every month).....the beginning bid is equal to the mortgage balance! * You MUST have CASH to buy at the courthouse steps....AND it is VERY risky!! Most buyers wait until the Lender takes the house back (at the courthouse steps) and then they are ALL listed in the MLS. * You MUST be pre-approved for a home mortgage IN WRITING before ANY offer can be submitted on a Foreclosure! * Lenny can help you get pre-approved for ANY mortgage on ANY house! * Lenny has over 20 years real estate investing experience to help you as your Buyer's Agent.